Baseball, crazy people, death by Milton Bradley, douchebaggery, Major League Baseball, Milton Bradley, Milton Bradley is batshit crazy, Seattle Mariners, unfortunately-named celebrities, Why am I so crazy? Still Crazy, Just Not Doing It Professionally Any More. Just a few weeks ago, it seemed that troubled former Major Leaguer Milton Bradley, out of baseball now for several months, would retire to a life of quiet anonymity completely removed from his lightning-rod professional career. But you’ve got to hand it to the troubled former athlete–lacking fans, teammates or umpires to serve as outlets for his all-consuming flashpoint rage, the man still manages to make do. This time the victim was his wife. A year-and-a-half ago, before the 2010 Major League Baseball season, Promethean Times optimistically opined on Bradley’s ability to act like an adult with new team, the Seattle Mariners. Seattle would soon prove to be the last of Bradley’s eight teams in his twelve-year MLB career. Since His Exit From The MLB, Bradley Has Been Forced To Lower His Expectations. Toward the end, Bradley made belated efforts to right his rapidly sinking ship. Not long into the 2010 season Bradley requested–and was granted–a medical leave of absence from the Mariners while he dealt with his craziness. Although Bradley’s behavior proved not to be a tremendous distraction for the Mariners, his anemic hitting was, and he was released not long into the 2011 season. Now it seems that the hyperactive has-been is trying to improve his lifetime average of .271 at home. His wife reportedly called the police after fleeing the house, alleging that Bradley was attacking her with a baseball bat, swinging wildly. * Sources close to Bradley expressed disappointment, saying that the ball-player’s swing shows a real lack of patience and plate discipline. 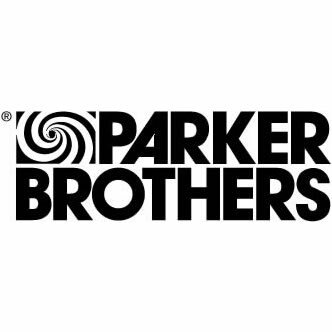 Say What You Will About Their Product, But The Parker Brothers Always Treated Their Ladies With Respect. * It makes you wonder what Bradley was doing with a baseball bat now that he’s no longer playing professional ball. It’s not like Smaktakula keeps his old Arby’s uniform around for a rainy day. ∞T.